Ice Cube’s BIG3, a 3-on-3 basketball league for retired NBA players, has been bringing in some pretty solid names to give his endeavor some legitimacy. 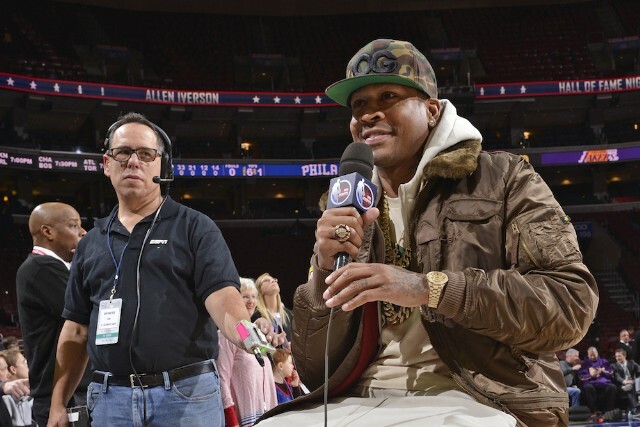 The Vertical reports that the eternally relevant Allen Iverson, who’s known for his absurd talent on the floor, his unapologetically hip-hop style, and for mentioning Fabolous and Dispet during a Hall of Fame induction ceremony, will play for the league. Iverson has signed up to be one of the league’s eight player/coaches, an irony since every basketball fan remembers his “Practice” rant. He spoke about his his involvement during a press conference held earlier today. Gary Payton, Chauncey Billups, Kenyon Martin, Jermaine O’Neal, Jason “White Chocolate” Williams, and Stephen Jackson are some of the other former NBA players who’ve signed up with BIG3. The league is expected to start up this summer. Watch Iverson’s comments below.